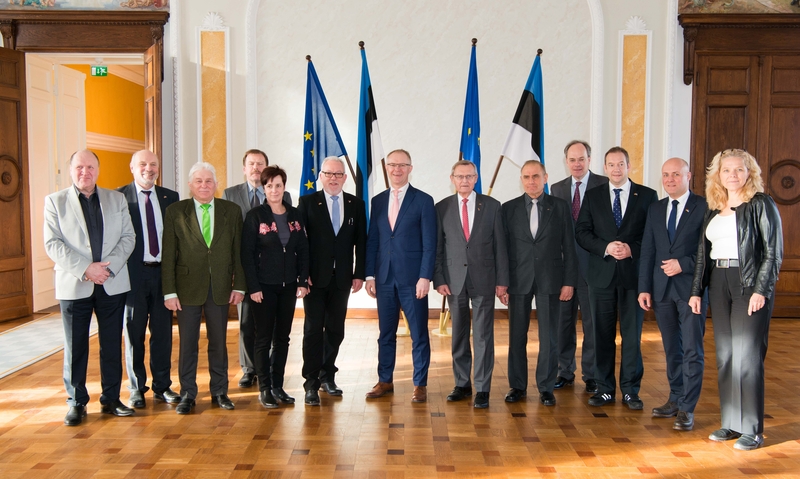 The meeting of the members of the National Defence Committee of the Riigikogu (Parliament of Estonia) with the delegation of the Defence Committee of the Bundestag of the Federal Republic of Germany focused on bilateral defence cooperation and the level of defence expenses. Chairman of the National Defence Committee of the Riigikogu Hannes Hanso said that the presence of allies in the region was of great importance. His thanked his German colleagues for Germany’s strong support as an ally, and also for its contribution to the Baltic air policing mission. Hanso added that after Brexit, Germany would be the only country of the European Union that contributed to ensuring the security of the Baltic region and Poland as a framework country. In Hanso’s opinion, the viability of NATO is proven by the fact that 11 months after the decision to increase deterrence in the Baltics was made at the Warsaw Summit, it has been carried out. “We defend the security of Europe together,” Hanso said. He emphasised that Estonia was not only a consumer of security, but also contributed to security by taking part in peacekeeping missions. Deputy Chairman of the National Defence Committee Mart Helme did not agree with the opinion recently expressed by the Minister of Foreign Affairs of Germany that if Germany doubled its defence expenses, it would make its neighbours anxious. Helme added that Russia’s activities in Kaliningrad had certainly disturbed Germany, too, and therefore boosting of defence spending would be necessary both for ensuring the air defence of the region and for balancing navies in the Baltic Sea. “No other country has armed itself so intensely as Russia, and therefore it is not necessary to be too modest in taking counter steps,” Helme said. Members of the Defence Committee of the Bundestag considered it important that political decisions were followed by specific steps and practical cooperation. According to them, implementing of what had been agreed upon in Warsaw, cyber defence cooperation and air policing mission in the Baltic States were the basis for mutual cooperation. The guests said that in Germany there were heated discussions about boosting of defence spending, but in addition figures, the effectiveness of expenses was even more important. Preserving the unity of the European Union and the solidarity of NATO and the EU were pointed out as significant factors. They also said that in ensuring the security of Europe, it was necessary to look towards south as well, where it was important to support the African countries so that the people there did not have to leave their homes. The meeting was attended by members of the National Defence Committee of the Riigikogu Hannes Hanso, Mart Helme, Johannes Kert, Ants Laaneots and Toomas Paur.